Meeting management solution Decisions allows users to add guests who normally would not attend a meeting to that individual meetings. Now, users can add guest presenters to a single agenda item. This is important for participants who only need access to one segment of the meeting, and ensures the rest of the meeting contents are confidential. The invitation informs them they have been invited to the meeting as a presenter. 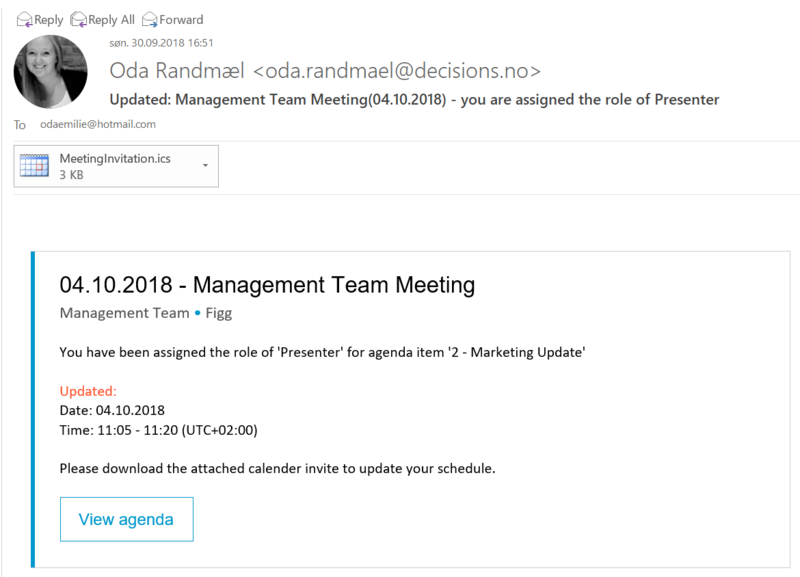 The email includes an invite the participate can add to their calendar, which will update automatically if the meeting agenda changes. Now, meeting organizers can reduce the manual effort of managing meeting attendees! 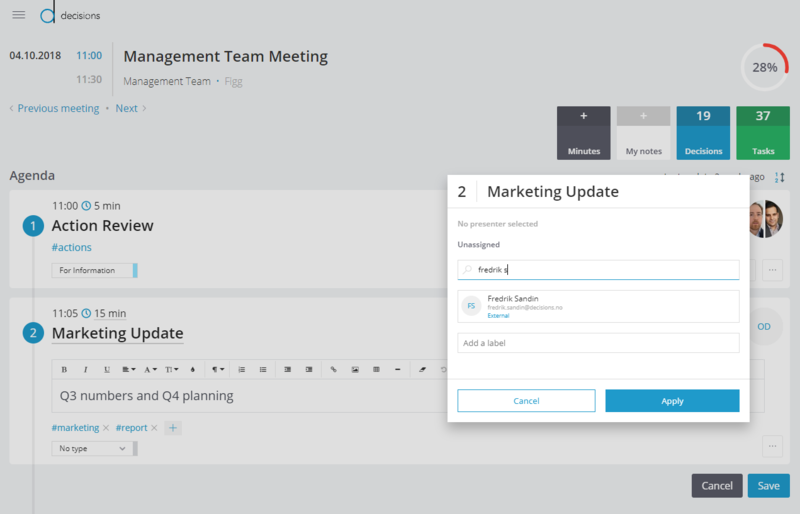 This newest update is one more way Decisions is making meetings more efficient. Not a user of Decisions? 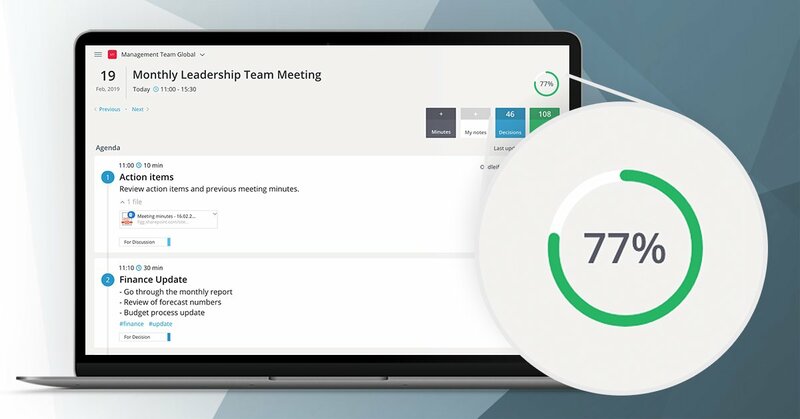 Download the solution today and be on your way to more effective meetings!